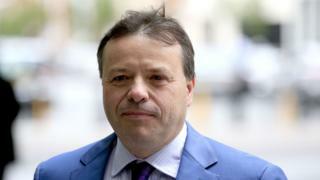 The watchdog said it suspected Mr Banks was not the "true source" of loans to the campaign and the money had come "from impermissible sources". Mr Banks denied any wrongdoing and said he welcomed the police investigation. He said he was "confident that a full and frank investigation will finally put an end to the ludicrous allegations levelled against me and my colleagues". "There is no evidence of any wrongdoing from the companies I own. I am a UK taxpayer and I have never received any foreign donations. The Electoral Commission has produced no evidence to the contrary," he added in a statement. He claimed the Electoral Commission had acted "under intense political pressure from anti-Brexit supporters". Mr Banks is currently in Bermuda, from where he tweeted a picture of himself following the news of the police investigation. Some Remain supporters have suggested Brexit should be put on hold pending the outcome of the inquiry. SNP MP Kirsty Blackman told the BBC's Politics Live programme: "If people are found to be breaking electoral law, then I think there is an issue that you look at the possible validity of the results." But Labour MP Stephen Kinnock said public trust in the source of political donations was "bigger than Brexit". "I don't think there is a natural connection to this and calling for a re-run of the referendum. I would rather we focus our resources on holding Mr Banks to account," he told BBC News. Under UK law, loans and donations to registered campaigners can only come from permissible sources, which essentially excludes overseas or foreign funding. The law was introduced by the Labour government in 2000 after a series of scandals involving overseas donors accused of trying to influence British laws and elections. 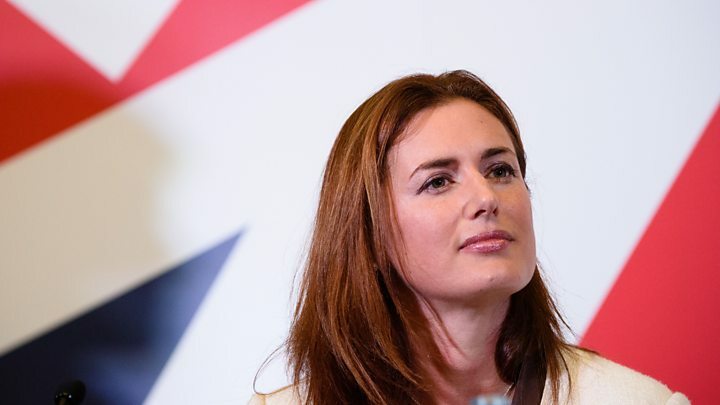 Leave.EU's chief executive Liz Bilney said all of the money had come from Mr Banks and he was the "ultimate beneficial owner" of the companies that had loaned it. As a UK domiciled taxpayer Mr Banks was "completely permissible to donate money to campaigns as he sees fit", she told BBC Radio 4's The World at One programme. She denied claims the money had come from Russian sources, saying: "I run the group of companies where the money was from and we don't have any transactions that are from Russia." And she said the Electoral Commission had "failed to understand the nature of the loan agreements" and were seeing them through "their own biased lens". "I am confident that all the matters will be completely resolved and I will be exonerated and so will Arron and everybody else involved," she added. Media captionLiz Bilney: "I'm confident I will be exonerated and so will Arron"
The commission's legal chief, Bob Posner, said: "We have reasonable grounds to suspect money given to Better for the Country came from impermissible sources and that Mr Banks and Ms Bilney, the responsible person for Leave.EU, knowingly concealed the true circumstances under which this money was provided. "This is significant because at least £2.9m of this money was used to fund referendum spending and donations during the regulated period of the EU referendum. "Our investigation has unveiled evidence that suggests criminal offences have been committed which fall beyond the remit of the commission. "This is why we have handed our evidence to the NCA to allow them to investigate and take any appropriate law enforcement action. This is now a criminal investigation." He said the financial transactions investigated by the commission included companies incorporated in Gibraltar and the Isle of Man, which were "beyond the reach" of the watchdog. The National Crime Agency, which is able to investigate across international borders, said electoral law offences would "not routinely fall" within its remit. But it added: "The nature of the necessary inquiries and the potential for offences to have been committed other than under electoral law lead us to consider an NCA investigation appropriate in this instance. "This is now a live investigation, and we are unable to discuss any operational detail."